Please join us at C.B. 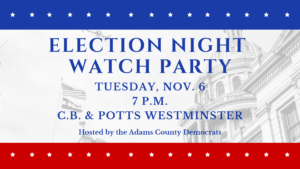 and Potts in Westminster on Tuesday, November 6, 7:00 p.m. for an Election Night Watch Party. Hope to see you there!